Mitt Romney must be on the verge of exhaustion from all the verbal contortions and mental gymnastics he puts himself through, trying to make his past words and current positions sound palatable to presidential primary voters. During Wednesday night's CNN debate, with Michigan's primary less than a week away, he was at it again. To review the history – skip ahead a few paragraphs if you’ve heard this already – Chrysler and General Motors came to Washington in late 2008, unable to pay their bills and desperate for federal help. Normally, companies in such desperate straights would have declared bankruptcy, then turned to the private sector for money to finance reorganization. But this was the middle of the financial crisis: The private sector wasn’t about to make those loans. And without those loans, the likely result would have been liquidation – a firesale of Chrysler and GM assets, mass layoffs, and a potentially fatal blow to the companies’ suppliers. The entire Midwest and, possibly, the entire nation would have felt the economic repercussions. With this in mind – and with even Ford, which did not need government loans, endorsing Chrysler and GM’s request – the Bush Administration offered temporary assistance. It was enough to keep the companies alive until Obama, then president-elect, took over. Once in office, Obama agreed to rescue the companies, on the condition they go through a “managed bankruptcy” in which they renegotiated contracts with their workers and suppliers. Today, the companies are selling cars, making money, and hiring back workers. That is the crux of Romney's problem. Conservative dogma demands that Romney reject this kind of government intervention. Republican dogma demands that Romney oppose anything Obama did. But the government intervention seems to have worked and Obama seems to have made the right call. ...and -- and if they go through that managed bankruptcy and shed the excessive cost that's been put on them by the UAW and by their own mismanagement, then if they need help coming out of bankruptcy, the government can provided guarantees and get them back on their feet. No way would we allow the auto industry in America to totally implode and disappear. That was my view. Go through bankruptcy. When that happens, then the market can help lift them out. It’s confusing, much like Romney’s recent interview with the editorial board of the Free Press. (Walsh was writing in response to that interview.) But I suspect Romney is implying one of two things. The first possibility is that Romney believes the government should have been prepared to provide, or at least guarantee, “exit funding” – but nothing more. When companies emerge from bankruptcy, a new financier (or financiers) frequently takes over from whatever financier was supporting the company during the reorganization. The problem with this argument is that such an approach would not have saved Chrysler and GM, which needed loans while they were in bankruptcy. The second possibility is that Romney thinks government should have assisted the companies, but only as part of a bankruptcy deal. That would be fine. In fact, it’s a totally sensible position. 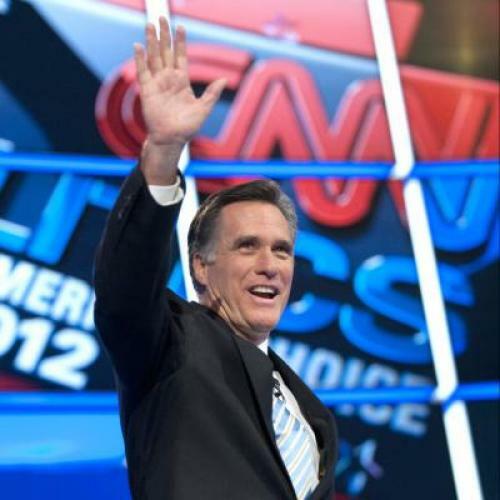 The problem for Romney, as Benjy Sarlin has noted, is that Obama took the same position. It’s exactly what Obama ended up doing. Romney has made additional arguments, about the role of the United Auto Workers. But that's a separate issue. The single most important question of in late 2008 and early 2009 was whether the federal government would put taxpayer dollars on the line, in order to save an economically vital industry. Obama answered yes, even though that position invited a political backlash. Romney can’t bring himself to say Obama was right. And I think that's because that position would invite a political backlash. If so, that says a lot about the judgment of the two men. And their character.